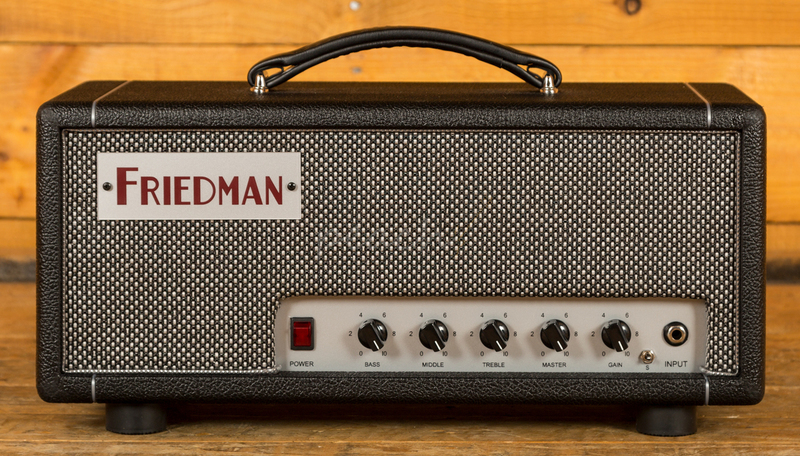 The Friedman Mini Dirty Shirley head is the little brother to the mighty full size "Dirty Shirley" - Which is an amp that totally nails all the classic 60's and 70's rock tones and has been a Peach favourite since we first started stocking Friedman amps. 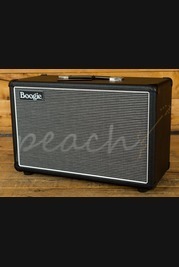 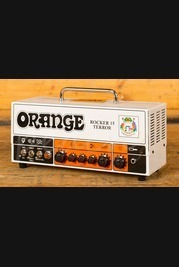 It's simply the best rock and roll guitar amp for the guitar player that likes to keep things simple and just ride the volume control on the guitar for different tones. 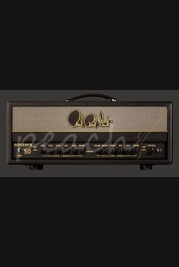 The Mini is a 20 watt version with 2 x EL84 output valves and it comes with a 3 position gain structure switch, which is new for the Dirty Shirley range of amps. 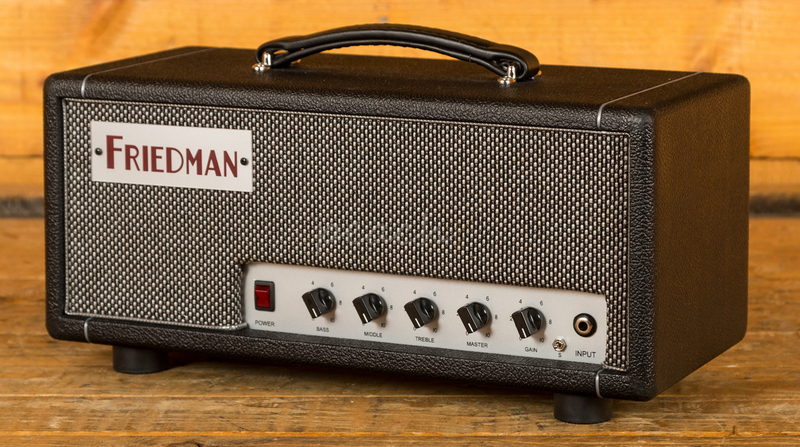 This little beast delivers a huge range of gain tones and crystal clean tones courtesy of the EL84 inherent chime. 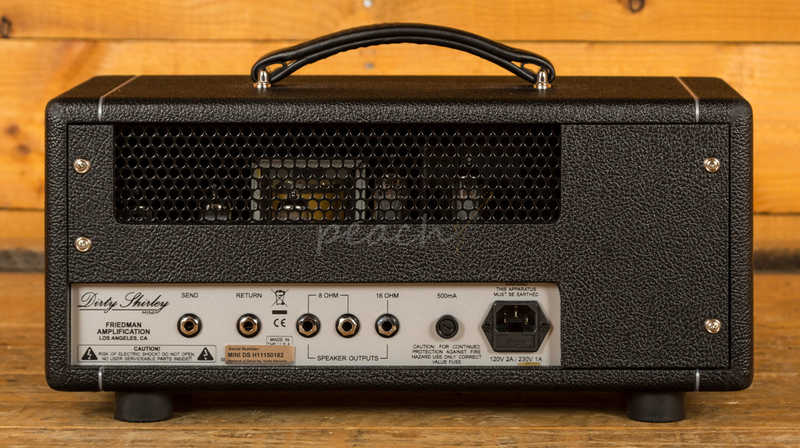 The amp is also equipped with a ultra-transparent series FX loop, so you can patch in your favourite times based effects and clean boost without any degradation in tone. 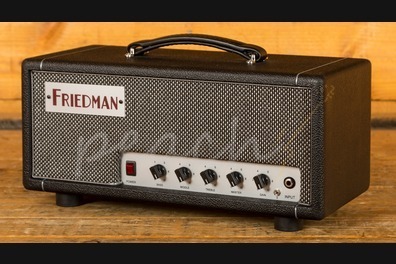 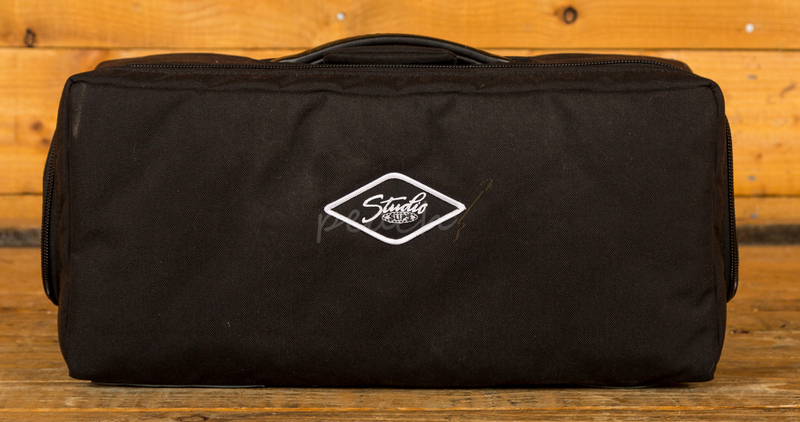 The Friedman Mini Dirty Shirley is still 100% handwired in California, USA. 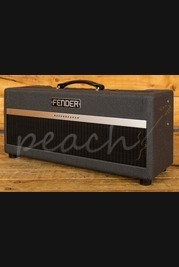 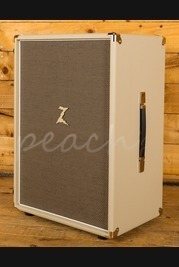 This amp is used but in great condition.